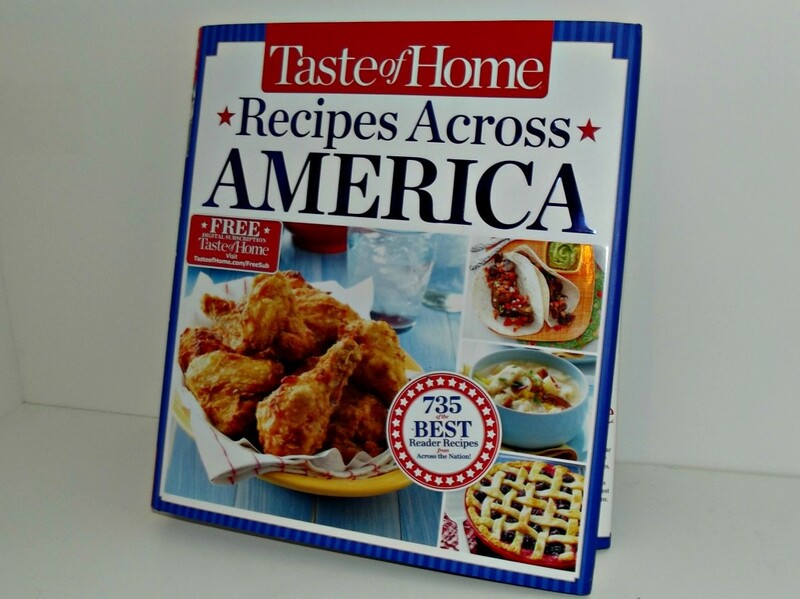 Taste Of Home Recipes Across America Cookbook is a Must Have! Hey everyone!! 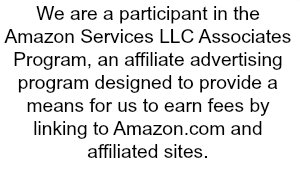 I just wanted to let you know that the product mentioned below, I received for free to try out and review and/or received compensation for it. Regardless, all opinions are my own. Thanks so much for reading and enjoy!! Taste of Home Recipes Across America, is one recipe book I think everyone should own. 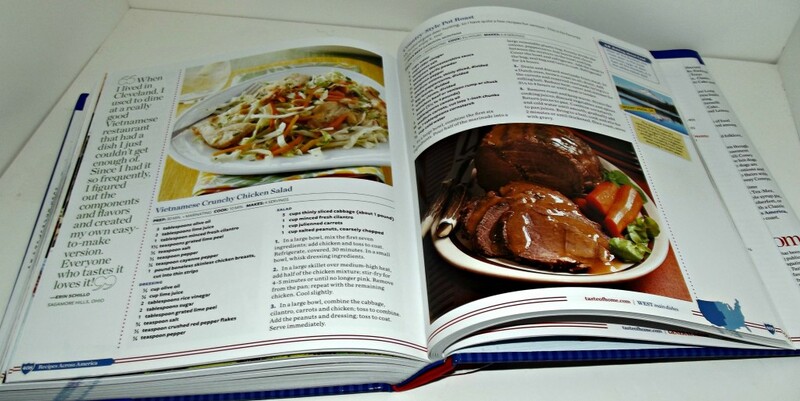 It is full of wonderful recipes that the whole family can truly enjoy. It is divided into 5 regions (Northeast, South, Midwest, Southwest, and West). In this cookbook it offers 735 delectable recipes!! I had a lot of fun looking at each recipe and I found a lot that I am excited to try out! Over the weekend I decided to do some cooking and I tried out a couple of the recipes, and I have to say I was pretty impressed. I did an Irish Soda Bread and a Venison Roast! Both recipes turned out really well. My husband loves venison and he said this recipe is one of the best he has had. I was impressed he said that, as he has tried so many different ways to cook venison! One recipe I really loved was the Irish Soda Bread! My mother-in-law makes something similar to this all the time! I was impressed with the recipe, it turned out really well. I did add a little cinnamon to my recipe but I kept everything else the same. In a large mixing bowl, combine flour, brown sugar, baking powder, baking soda and salt. Cut in the butter until crumbly. In a small bowl, whisk 1 egg and buttermilk. Stir into flour mixture just until moistened. Fold in raisins. Knead on a floured surface for 1 minute. Shape into a loaf and placed on a greased baking sheet. Cut a 1/4 inch deep cross in the top of the loaf. Beat the remaining egg and brush over the loaf. Bake at 375 degrees for 3-35 minutes or until golden brown. Overall we loved the book, and I can’t wait to test out more recipes from this cookbook. This would make a fabulous gift for anyone who enjoys to cook and bake! If you are interested in buying one of these, you can head over to Taste of Homes site and snag it for just $24.99 with Free Shipping! It features iconic dishes like Chicago Deep-Dish Pizza and classic Southern Fried Chicken, and lesser known recipes like Berliner Kranz Cookies and Amish Potato Bread. I love Irish Soda Bread! It’s one of my favorite desserts! 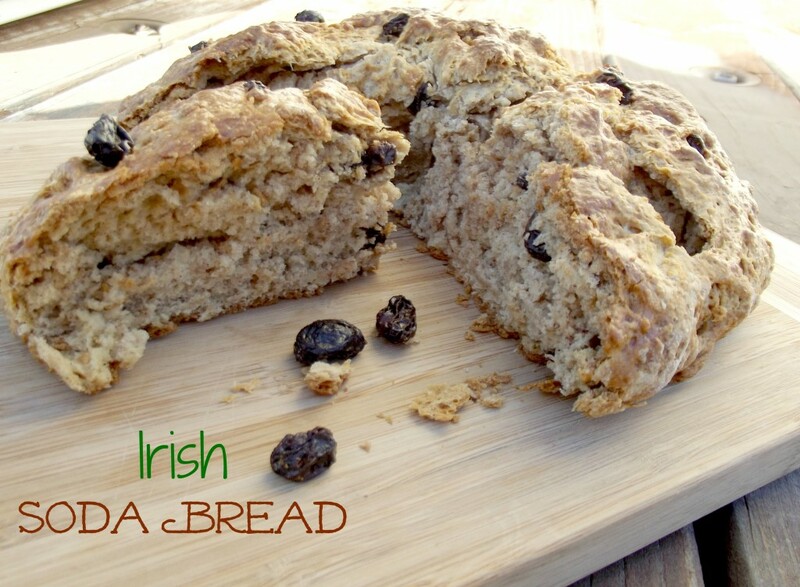 Irish Soda bread is a favorite of my grandmother! I can’t wait to try this one. Thanks for the recipe. I’ve been wanting to make some Irish Soda bread. I think I would get such enjoyment out of that cookbook, and that Irish soda bread! That Irish Soda Bread recipe is one that I probably would have chosen to make. Sounds like a great cookbook! Oh wow this cookbook sounds amazing. So many great recipes. The soda bread looks so good! Is it bad that i’ve never had this kind of bread?! Maybe I’ll give it a try. Its a great day for baking here. I never had it till about a year ago :-)! It is super easy and I love that you don’t have to let it rise and such! This recipe sounds good.I love finding recipes in my old Taste Of Home magazines. I love Irish soda bread.